Achilles Tendinopathy refers to both micro tears and inflammation in the Achilles tendon. It is a common overuse injury, especially with runners and other activities with repeated loading on the Achilles tendon. The Achilles tendon is located in the lower limb and connects the calf muscles to the heel bone. It is the thickest and strongest tendon in the human body. 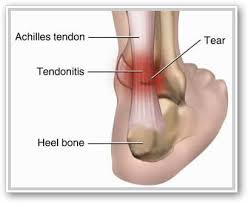 There are two areas of the tendon that can be affected by Achilles tendinopathy. Therapies such as soft tissue massage, electrotherapy and taping can help speed up the recovery process. For more information or advice regarding Achilles Tendinopathy call us on 9819 6151. We are here to help and keep you moving well. 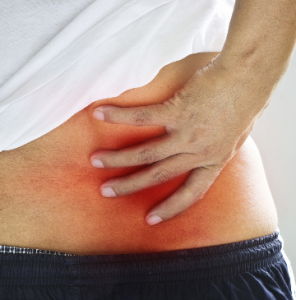 Lower back pain is extremely common, affecting 8 in 10 people at some stage in their life. The majority of cases of lower back pain (90%) are not due to a serious disease or serious back problem. They fall into a category called ‘non-specific lower back pain’. The cause of non-specific lower back pain can be hard to identify but often happen after lifting a heavy load or twisting awkwardly. In some cases, you can wake up with lower back pain. The pain can be mild to severe. While the cause may be hard to identify, it is usually a strain of a muscle or ligament. In some cases, it can be a minor problem with a disc that sits in between two vertebrae or the facet joint, a small joint in between two vertebrae. These episodes can easily be treated with physiotherapy to reduce muscle tightness and pain and quickly improve your range of movement. Specific and targeted exercise management is an important part of the treatment process to help prevent a recurrence. A small group of back pain patients (less than 10%) may have a more serious back problem. These fall into 2 key categories. This is where a nerve root exiting the spine becomes irritated causing pain into the buttock and down the affected leg into the foot. You may also experience pins and needles and numbness. This is often caused by a disc in between the vertebrae prolapsing or bulging and touching the nerve root. Physiotherapy can help milder cases of nerve root irritation. If the nerve root irritation is severe or continues you will need to see your GP and be referred to a Specialist for treatment. 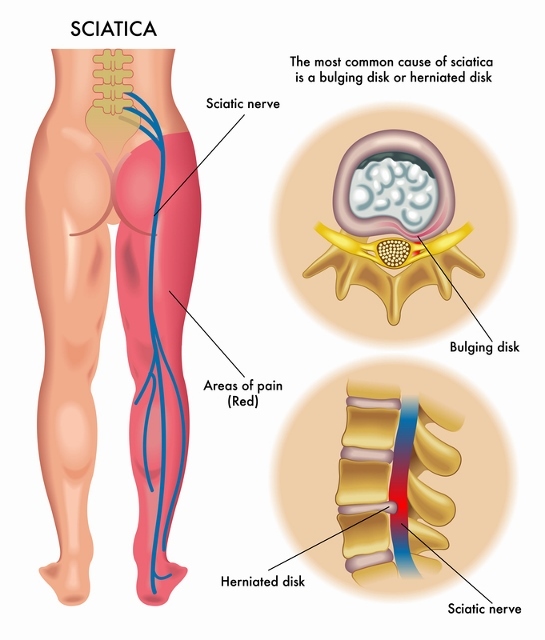 Cauda equina is a serious nerve root problem where the nerves at the base of the spine are pressed on causing not only lower back pain but also bladder problems (unable to urinate), numbness around the saddle area and numbness down one or both legs. You must see your GP if you experience these symptoms as it needs to be treated urgently. Fortunately, cases of Cauda equina are rare. 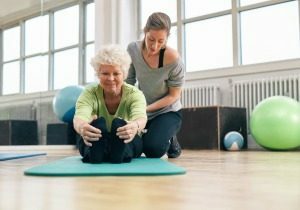 Rehabilitation (including targeted exercise management) following an episode of lower back pain or following back surgery is important to help speed up your recovery process and reduce the risk of recurrence. Call us on 9819 6151 can help you manage your back pain. Flexibility is important in day-to-day activities and sports. It allows for greater comfort and ability – and reduces your risk of injury. To initiate movement, your muscles contract (shorten). How well they contract will depend on the initial resting length of the muscle. And, for any movement, there is an optimum resting length to gain the optimum contraction your muscles. Turning your head while driving is something we do regularly. This requires optimum resting length in your neck muscles and a muscle contraction. If the resting length of your neck muscles is less than optimum (shortened) , you won’t be able to turn your head to the desired range. When you can’t turn your head it means some muscles are too tight and the optimum tension is not correct. Think about bending over to touch your toes. If you can’t bend over like you used to, your hamstrings may be too tight and need lengthening. Flexibility refers to the mobility of your muscles and is defined as the Range Of Motion (ROM) of your joints or the ability of your joints to move through different planes. There is a balance between the initial resting length of a muscle and the contraction of a muscle to build the right tension to move your joints. This impacts on the joint range of motion. If the resting length of a muscle is too long, or too short, it will affect the ability of the muscle to contract. Good muscle and joint flexibility allow your joints to accommodate all the different angles required for everyday movements or sport-specific movements. A balance between the length versus the tension of muscles reduces your risk of injury, particularly muscle tears or sprains. There are several groups of muscles that show a tendency towards tightness. These muscles are often implicated in musculoskeletal pain, especially back pain and are prone to strains. When muscle length and muscle contraction are optimised, you can obtain maximum muscle power and efficiency for your chosen sport or activity. High muscle tone occurs when the muscle is overworked or tense. Nerves supplying the muscle continue to provide a low-level discharge. This means the muscle cannot fully relax so the resting length is altered. This limits the full range of movement of the joint to which the muscle is attached. As a muscle is rapidly stretched there is an automatic neuromuscular response – the ‘stretch reflex’ which limits overstretching to prevent injury. Where the length and tension relationship of a muscle is reduced, this reflex can start earlier, limiting the joint’s range of motion. As we age, muscle fibres are gradually replaced with fibrous connective tissue which is less elastic. This increases the stiffness of the joint, limiting the range of motion of the joint, particularly in highly mobile joints such as the shoulder and hips. Bony changes in the joints due to ageing or injury can affect how the surfaces of the joints line up decreasing flexibility and decreasing joint range of motion. Poor posture can reduce the optimum length and tension relationship of skeletal muscle leading to stiffness in the joints as they are prevented from moving through their full ROM. Try this activity and see if you notice the difference in your arm’s range of motion. Sit in a slumped position and raise your arms up over your head. Now sit on your sit bones, stack your spine up long and now raise your arms up overhead. Injuries to muscles and connective tissue can lead to a thickening (fibrosing) of the soft tissue. Fibrous tissue is less elastic and can lead to decreased resting length of the muscle and reduced range of movement (ROM) in the affected joint. A common cause of heel pain is known as Plantar Fasciitis. The plantar fascia (PF) is a band of connective tissue on the underside of the foot that enables us to effectively push off from the ground when running or walking. It connects from the ball to the heel of the foot. If the plantar fascia becomes inflamed or irritated usually by overloading or overstretching you may feel heel pain. Plantar fascia can also be irritated by a heel spur. The most common symptom is pain on the inside of the heel – especially on taking your first step after sitting for extended periods or in the morning. The pain may be sharp and may be accompanied by mild swelling. are middle aged. As we age, muscles supporting the arch of the foot can weaken leading to an increased load on the Plantar fascia. Are you experiencing heel pain? If you are currently experiencing ongoing heel pain, which is worse in the mornings or post activity, don’t hesitate to call us on 9819 6151. At Strive Physio we not only treat your symptoms but will correct any underlying causes to get you moving well again for the long term.